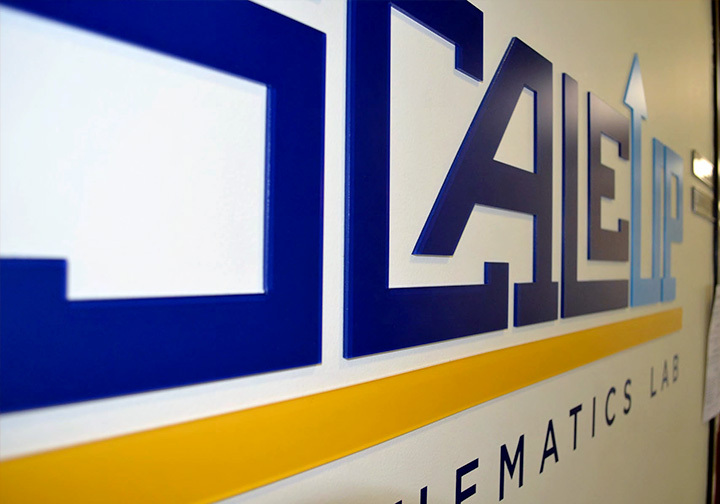 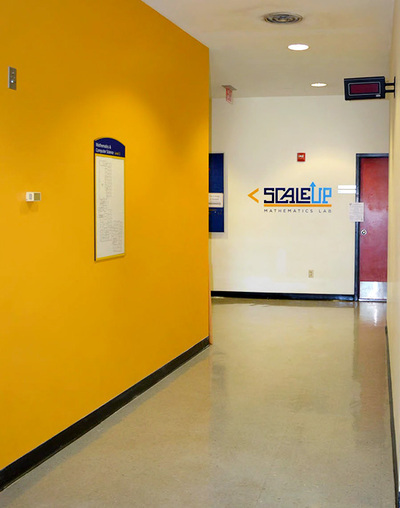 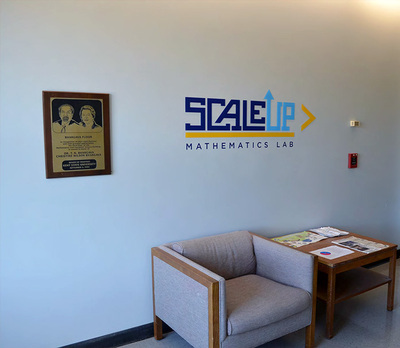 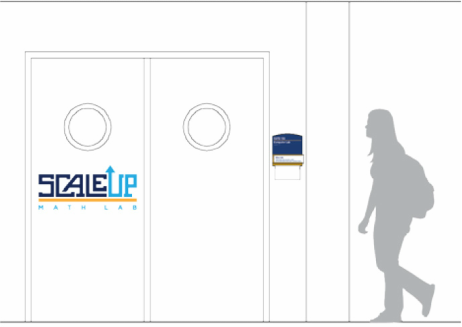 The logo for SCALEUP was created while working for Studio Graphique for the new mathematics program at Kent State University. The new program encourages collaborative and hands-on learning, so the logo was designed to reflect concepts of geometry and interconnectivity. 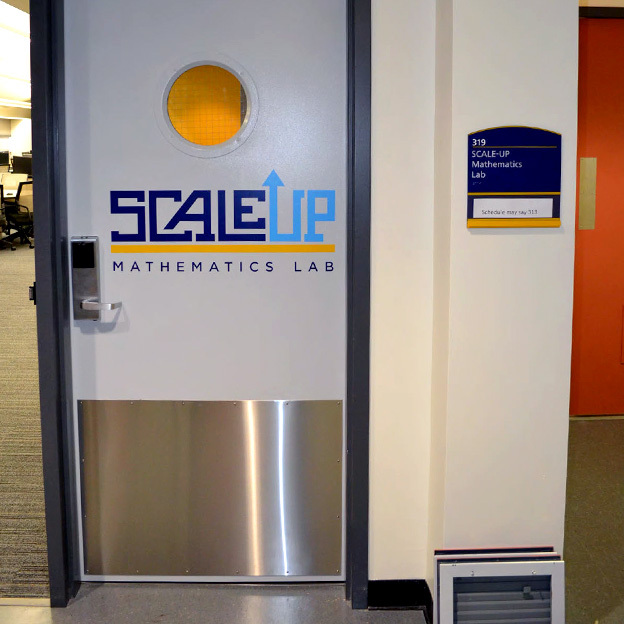 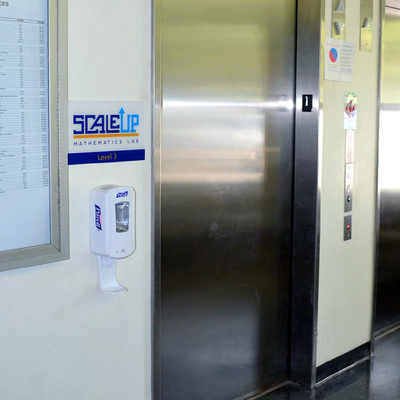 The logo was appropriated to a multiple signs that were fabricated and installed at Kent State.